Your child’s story begins in our Pre-Primary and Primary classrooms, which together make up our Children’s House. These special environments are dedicated to educating our youngest learners and are where we sow the seeds for a lifetime of achievement. Our Children’s House is dedicated to educating our youngest learners and takes the job very seriously. Our motto here is “Follow the Child” and that is exactly what we do. We pair well-ordered, developmentally appropriate classrooms for our students with expertly trained, experienced, and caring teachers, and the result is astounding: children’s own love of exploration allows them to take an active and fundamental part in their learning, beginning on a student’s very first day. Current research confirms that the first years of life are crucial in a child’s brain development. This is when we have the greatest capacity and appetite for learning, especially in the areas of language development and socialization. At Von Wedel, our entire program seeks to support young children (and their families) as they begin the journey of becoming lifelong learners. 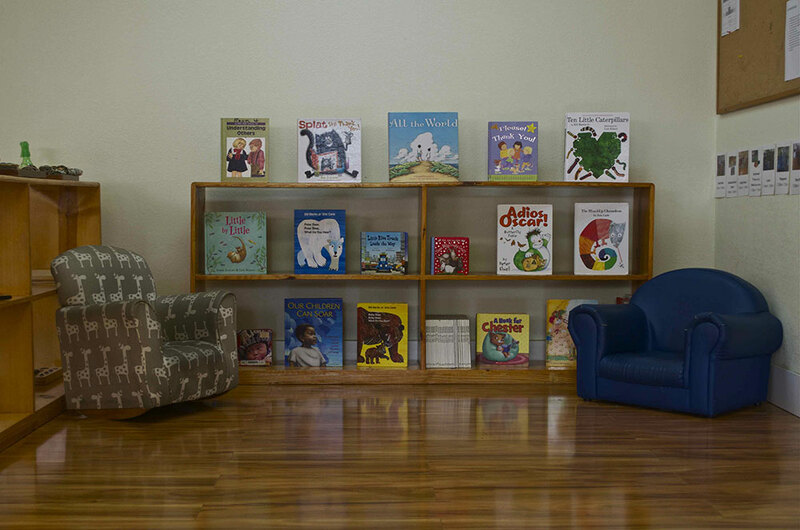 Von Wedel’s Children’s House is designed specifically to foster social and cognitive development and to lay the foundation for learning in multiple academic areas. Our classrooms divide into different learning sections that thoughtfully encourage children to explore Practical Life activities, Sensorial experiences, Language, Mathematics, and Science and Culture. Students in our Children’s House learn to approach new challenges with confidence. They are empowered as readers, writers, critical thinkers, and mathematicians to become creative, well-informed, passionate, and joyful learners and citizens of the world. Our students are respected as individuals, respect each other as individuals, think for themselves, and share in a desire to lead a life of learning and discovery. 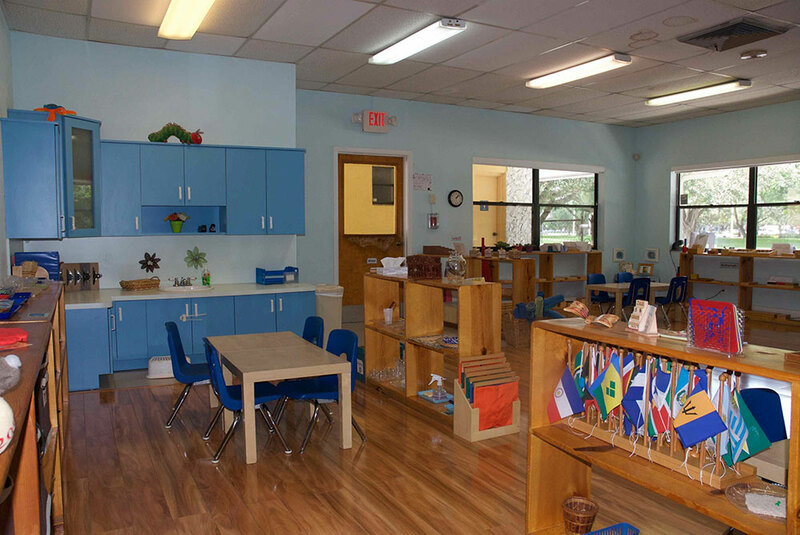 Each child is guided in his or her own learning within the structure of Von Wedel’s core Montessori program, which is supported by best practices in preschool education. Montessori’s unique flexibility allows teachers to continually challenge each child at his or her own pace. Multi-age settings stimulate enthusiasm for learning and inspire independent thinking. Von Wedel maintains a commitment to close working relationships with our families. This partnership is fostered through ongoing, personal communication, volunteering, and opportunity for conferences throughout the year. We staff highly qualified teachers with Montessori Certification, Bachelor’s and Master’s degrees, and extensive experience in the classroom setting. We are home to large, welcoming indoor and outdoor spaces specifically designed to meet a young child’s need for academic, social, emotional, and physical growth. Our program includes regularly scheduled enrichment activities which may include Art, Music, Foreign Language, Creative Movement, or Yoga, each taught by teachers who are specifically trained in their respective disciplines. The Pre-Primary environment is truly a gift to your child. Our program lays the foundation for a lifetime of successful learning, while offering a rich educational environment that is exceptional in preschool education. We encourage any potential parents to visit and see firsthand how our program inspires tremendous growth and learning even among our youngest students. Our Pre-Primary students share experiences with one another; we are inspired by those who are older than us and we encourage those who are younger. Our interactions foster positive social skills as we discover and develop hidden skills, share new abilities, and learn from our friends and neighbors. Young children feel comfortable and at home in Von Wedel’s inviting and aesthetically-pleasing classrooms. Our environments foster exploration, order, movement, and freedom of choice, all within a child-sized world in which students are the hosts, and adults are the guests. 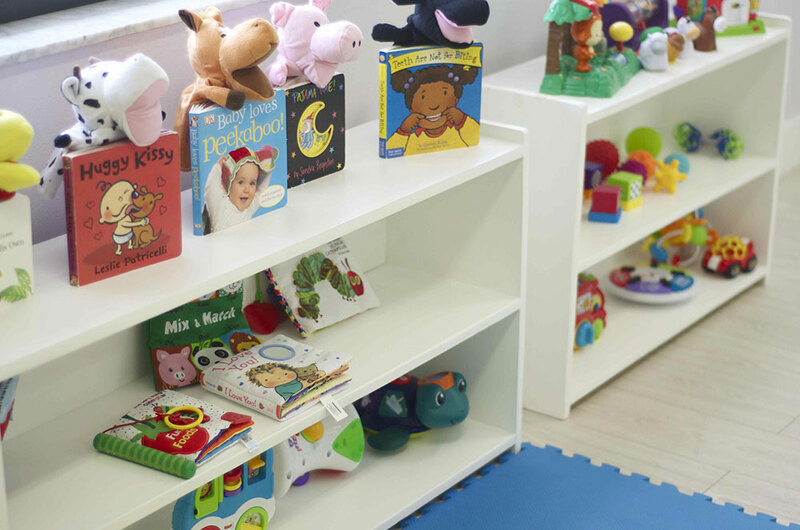 Our furniture, bathrooms, and shelving are all proportioned to our learners to not only foster a sense of belonging, but to enable self-care and the development of independence and confidence. 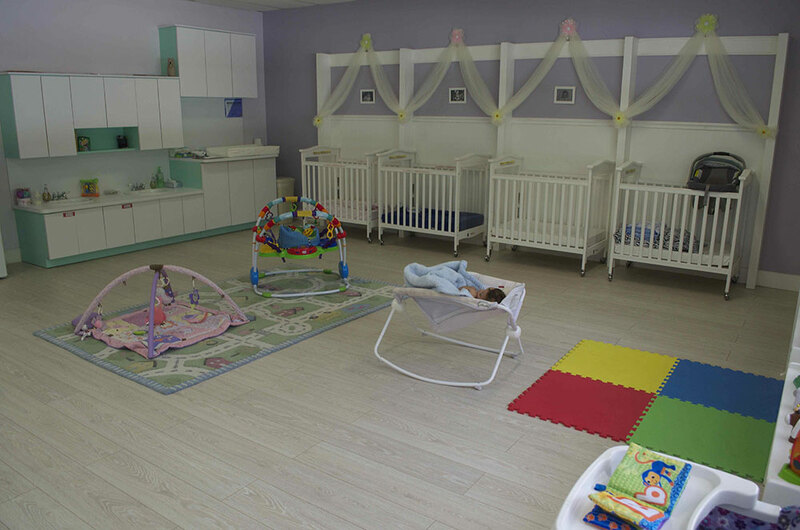 Our “toddler” communities are designed to meet the developmental needs of the very young child and to support the child’s natural and healthy growth. These active students need to move and to explore everything in an environment where we can trust that the child will be safe. 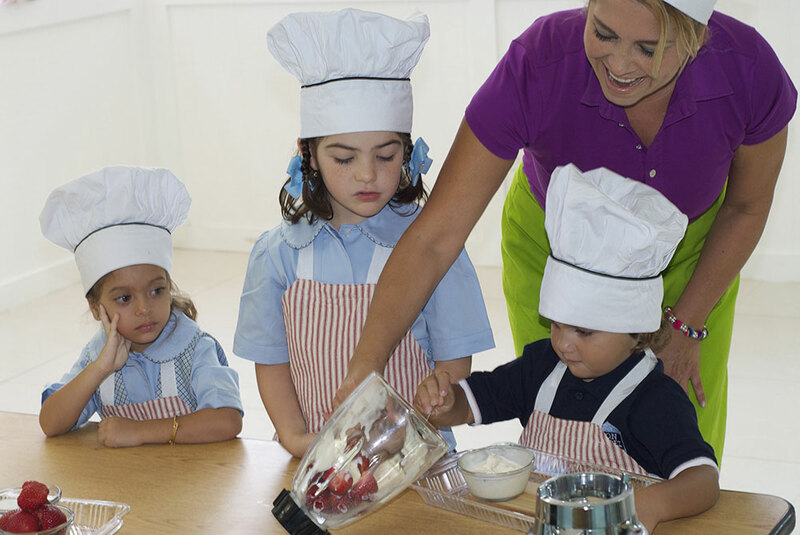 Many of our Pre-Primary students absorb information from sights, sounds, smells, textures, and tastes without the need for formal lessons. As such, our Pre-Primary environments are designed to encourage self-directed, individual exploration with activities that can be done with little or no intervention from the adult. Hands-on learning materials are placed in sequence throughout our beautiful, spacious classrooms to enhance the toddler’s ability to be independent, to use fine and gross motor skills, to recognize sensory impressions, and to increase language and cognitive skills. We use manipulative materials which introduce order, demonstrate cause and effect relationships, and establish one-to-one correspondence. We use language to express our needs and to begin to understand others. And we use art, music, and rhythm to enhance our day and foster community amongst our peers. But it all begins in Practical Life. Here, we take the first step toward independence in our lives and learn to care for ourselves, our environment, and our friends. We learn lessons of Grace and Courtesy, when our teachers model and demonstrate respectful actions and words to use with others. We develop concentration, coordination of movement, order, and independence and integrate those skills throughout our sensitive period of order, imitation, and self-awareness. We become stewards of our environment and dust, dry and “clean-up” spilled water, and care for classroom plants. We enjoy sweeping, mopping, table washing, metal polishing, folding clothes, arranging flowers, sowing seeds, and even raking leaves. We help with our snack and lunch and set the table, feed ourselves, use utensils, and wash afterwards. At their core, Von Wedel’s Pre-Primary environments are designed so that the child is not controlled, but supported and encouraged in his or her individual development and independence. We place great emphasis on preparing an environment where each child can move and explore and, eventually, encounter one-another. We provide freedom within limits as children learn to become organized, intentional, and respectful to adults and peers. A Montessori education is designed to provide a child-centered, reality-oriented environment to serve each child in satisfying his or her needs and interests. At Von Wedel, we respect each child’s unique developmental timetable and inner construction. We nurture each child’s curiosity and enthusiasm for seeking knowledge and for achieving mastery over his or her environment and provide each child the opportunity to grow and develop academically, socially, and emotionally to his or her fullest potential. Independence, self-motivation, inner discipline, concentration, and a profound sensitivity and joy for life and learning are the core goals of a Montessori education at Von Wedel. Our hope is to help each child develop into a happy, secure, balanced, and well-adjusted human being. Our Primary classrooms are typically communities of 24 to 27 children between the age of 2.5 to 5.5. They are specially prepared for young children with numerous choices of activities that will assist in their unique constructions of themselves. In an orderly, non-competitive atmosphere that balances freedom with responsibility, each child is guided to becoming independent, secure, and productive members of a tight-knit community. Many preschools are proud of their very small group sizes, and parents often wonder why Montessori classes are so much larger. Schools that place children together into small groups assume (and assure) that the teacher is the source of instruction – a very limited resource even in a small class. These schools reason that as the number of students decreases, the amount of time that teachers spend with each child increases. Ideally, the best of all worlds would be a one-on-one tutorial situation. But the best ‘teacher’ of a 3-year-old is not always the adult, but is often another child who is possibly a bit older and who has mastered a desired skill. At times like this, the teacher’s job is not to offer instruction, but to guide the student TO instruction from a peer. This process is beneficial to both the tutor and the leaner. The teacher steps out of the limelight and turns the focus to the students themselves. Since Montessori encourages this method of learning from one another, we commit to providing learning communities large enough for students to find others who are at, above, and below their present level of development. 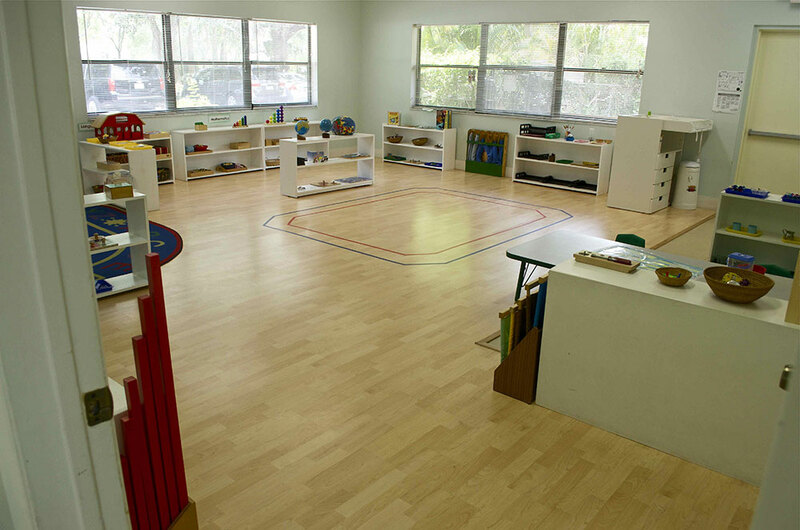 Montessori classrooms tend to fascinate both children and their parents. They are bright, warm, and inviting. They are filled with plants, animals, art, music, and books. They are home to intriguing learning materials, mathematical models, maps, charts, and artifacts. And they are designed this way for a reason. At Von Wedel, our classrooms are commonly referred to as Prepared Environments. This name reflects the care and attention that is given to creating a learning space that will reinforce a child’s learning and intellectual development. You will not find rows of desks in our classrooms, or fixed seats in chiseled work spaces. Instead, you will find areas designed to facilitate and encourage student discussion and collaboration. 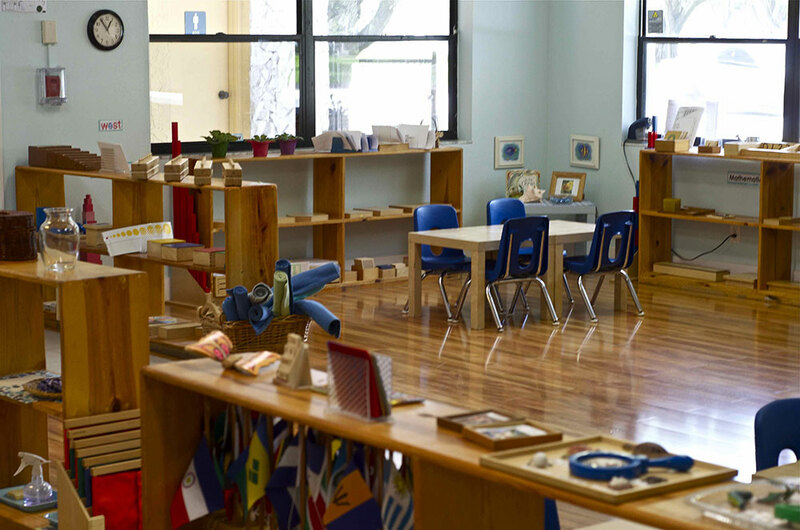 Our classrooms are organized into several curriculum areas including Practical Life, Sensorial Experiences, Language, Mathematics, and Science and Culture. 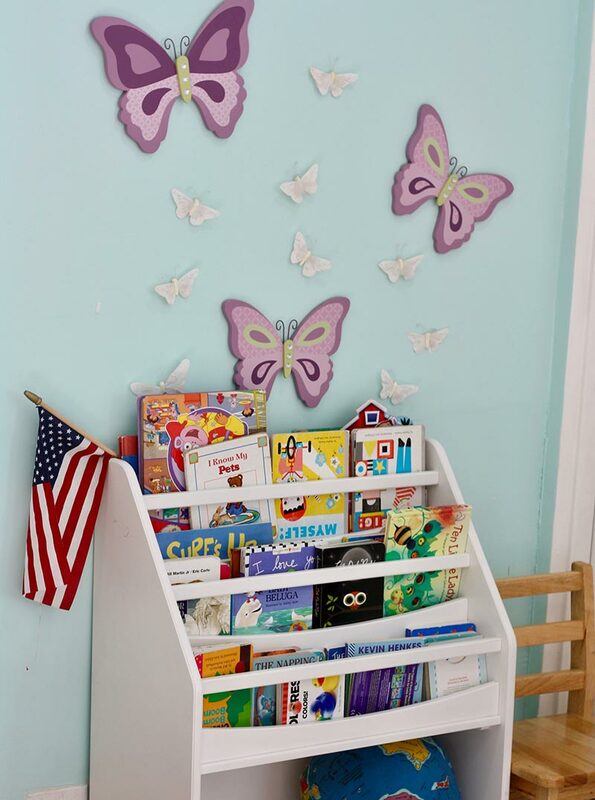 Each area is made up of one or more child-sized shelves, cabinets, and display tables with a wide variety of materials on open display and ready for use as the children select them. Students are typically found scattered around the classroom, either working alone or with one or two others. They tend to become so involved in their work that visitors are often unnoticed (and are, themselves, often shocked by the peace and calm about the room). It may even take a moment to spot the teachers within the environment. They will normally be found working with one or two children at a time, either advising them, presenting them a new lesson, or simply observing them as they go about their work. What is clear, though, is that this is the children’s world. They move freely within it, selecting work that captures their interest, rather than participating in all-day lessons and projects exclusively selected by teachers. In a very real sense, even very small children are responsible for the care of their own child-sized environments. When they are hungry, they go and prepare their own snack or drink. They go to the bathroom without assistance. When something spills, they help each other carefully clean things up. For generations, parents have been amazed to see small children in Montessori classrooms cut raw fruits and vegetables, sweep and dust, and carry pitchers of water and pour liquids with barely a drop spilled. Students go about their work so calmly and purposefully that it is clear to even the casual observer that they are the masters in this environment. It is truly a “Children’s House.” Along with everything else our classrooms offer our students, Von Wedel’s prepared environments give children the sense that they belong – that their school is a second home, and that their teachers and friend are their second family. Young children are attracted to activities that foster independence and offer control over their lives, whether it is putting away a lunchbox or watering a plant on a bookshelf. Using child-sized Montessori materials in the Practical Life area, the children perform many types of purposeful activities and simple dressing exercises, learning to care for themselves and be contributing members of the classroom community: they tie, button, snap and zip, sweep, pour, polish, chop vegetables, and wash tables. In Practical Life, children learn to “do it for myself” and gain satisfaction as they become increasingly more independent in caring for themselves and their environment. These sequential activities help children increase their concentration; perfect their coordination, movement, and attention to detail; and help to establish healthy working habits. They lay the foundation for the more intricate academic activities that will be introduced in the future. Where the Practical Life area helps children to gain physical mastery and control over the objects in their world, the Sensorial Activities take things a step further by introducing order to the same. Sensorial materials are designed to sharpen a child’s senses and isolate a defining quality such as color, weight, shape, texture, size, sound, or smell. Children are challenged to find similarity and difference and, eventually, to either match or sequence items based on their traits. Sensorial activities offer exercises in perception, observation, fine discrimination, and classification, and play a major role in helping our students to develop their sense of logic and concentration. They serve as a springboard to later activities in Mathematics, Science, and even Language. Dr. Montessori observed that the evolution of language begins with an infant’s innate capacity to absorb fragments of speech that form the basis of language development. A child first discovers that sounds have meaning, then isolates parts of speech, and finally grasps the use of sentences. Acquisition of oral language skills occurs naturally, but opportunities for equivalent patterns of written language must be provided by parents and teachers. Luckily, written language skills follow the same general pattern of development as spoken language. At Von Wedel, we introduce a phonetic approach to reading that begins with the sandpaper letters. Children learn to associate the sound with the shape of the letter, they trace the letter, and they develop the motion and dexterity needed for writing all at the same time. 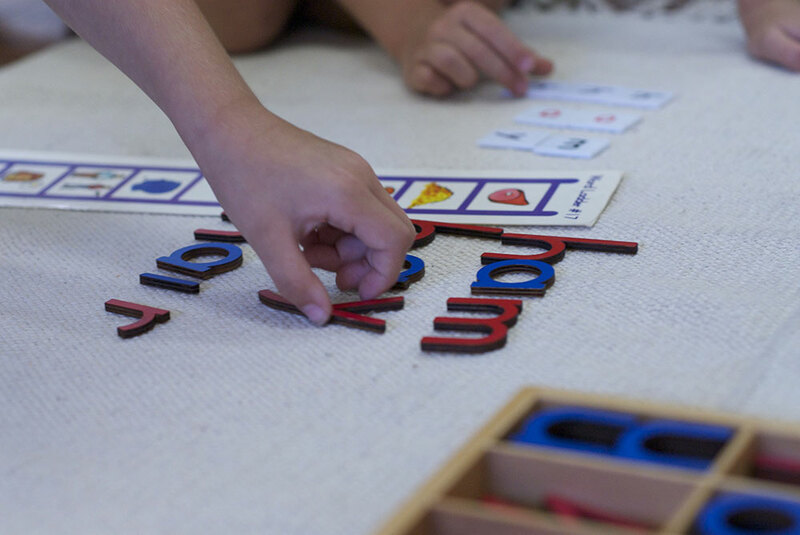 Children continue to explore their fascination with letters and sounds with the Moveable Alphabet (wooden letters in a box), which they use to construct words, phrases, sentences, and – eventually – stories. The many preparatory activities that take place in the Language area culminate in a child beginning to read and write. To many parents (and outsiders), this transformation seems miraculous, especially at such a young age. But it is the logical result of carefully sequenced materials and instruction. Von Wedel’s classroom materials enable children to master Mathematics through concrete (and ultimately abstract) exploration of number concepts. Children are first introduced to a quantity, then to a symbol, then to the quantity and symbol together. The objective is for students to inherently understand mathematical concepts rather than just memorize facts and figures. 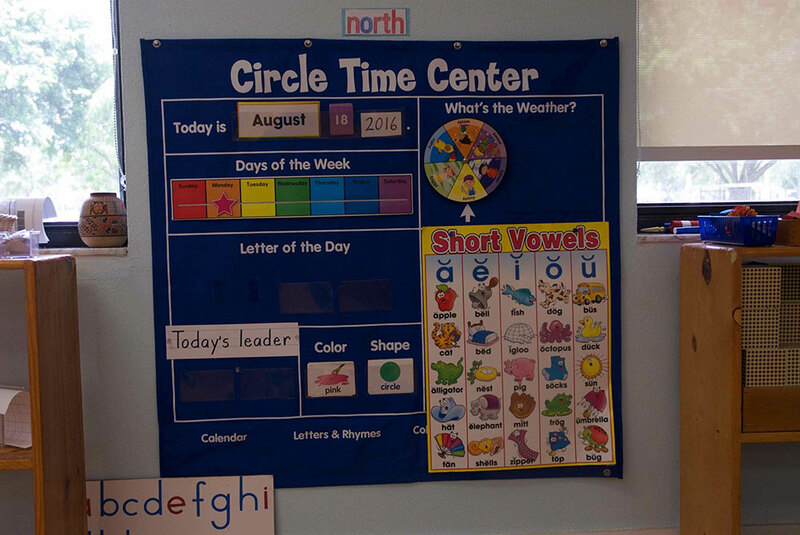 We use sophisticated concrete materials that help young students to count to 100; appreciate the decimal system and the value of numbers through 9,999; and even engage in dynamic addition and subtraction exercises that would normally be reserved for older children in the First and Second grade. Dr. Montessori observed that children eagerly absorb many difficult concepts that are presented in concrete form using manipulative materials. At Von Wedel, we introduce Primary students to lessons involving Botany, Zoology, Culture, Geography, History, Art, and Music. We grow and care for plants, discover the many different parts of animals, learn about and experience customs from around the world, and pour water around “islands” as we travel the globe. We make concepts tangible for students and use our science and culture area as a window to the world.